Universal Extractor 2 is an easy-to-use extraction program that works on a long list of file types including standard compression formats like ZIP, RAR and 7Z files, as well as program installers, disk images, audio/video and many more. The program also includes an "scan" option to view available data on a setup file, integrated updater, improved status box, new detection methods for files, batch extraction, plugin support and more. The program is an unofficial fork of Universal Extractor. In the Support for Video Files screen, click Download to enable decompression of a long list of audio and video formats. I've been using this frequently as a replacement for the original Universal Extractor and it's so far saved me a lot of time and energy. 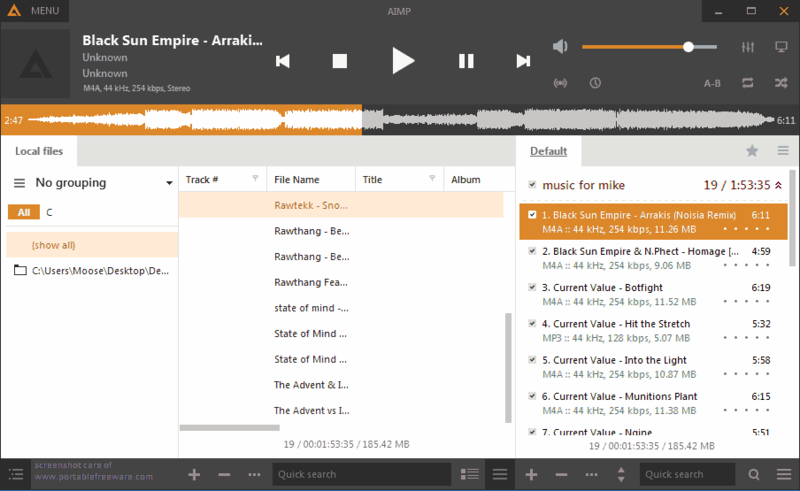 AIMP is a skinnable audio player similar to Winamp that supports most audio formats, as well as Internet radio. 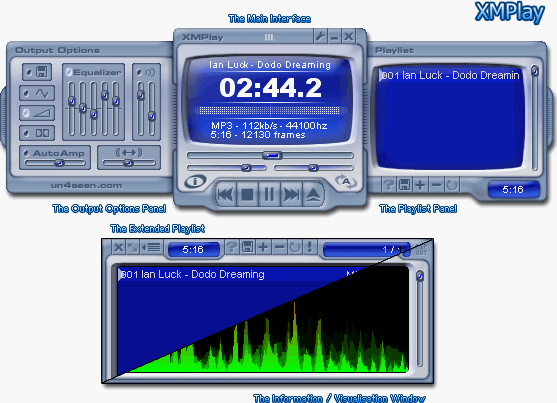 Features include a mini-player, colorizing of individual skins, equalizer, visualizations, playlist, global hotkeys, library and plug-ins capability. The application also includes a built-in tag editor, alarm clock and auto-shutdown. Alternatively, AIMP Portable is stealth and automatically adjusts paths. Stealth: ? No. Writes to registry if run with admin rights. See this forum thread. Optionally, you may delete the uninstall.exe file. Is it possible to disable the ID3v1 tagging? 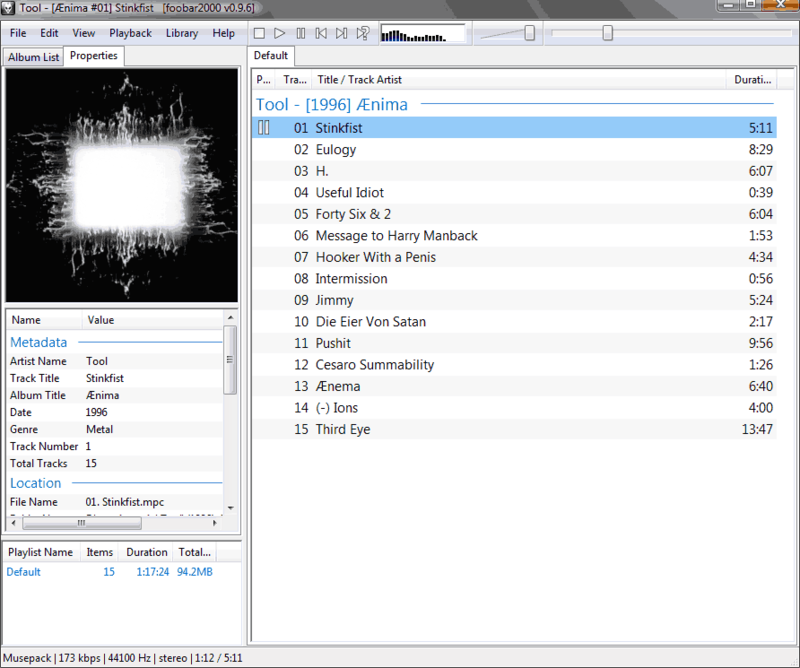 It's messing up the grouping of my mp3 files when i import them in the library. Can't find what you are looking for? This list shows entries with Audio - Conversion as a supplementary function. You can view more entries with Audio - Conversion as a primary function.